That question appears in every book I’ve ever read about investing. I’ve read a bunch since I first became interested in the market and how I could use my existing assets to grow wealthier. And that question makes a lot of sense. People in different stages of life set priorities based on their own goals. We talk a lot about major investing trends in the Digest because they present the chance to build an astronomical amount of wealth by getting in early and buying before the main street retail investor and institutional investors drive the price higher. But being a growth stock investor can make you question yourself. Volatility and short-term corrections are common characteristics when investing in new business trends. It’s a cycle that repeats and repeats. That’s because hype about emerging trends can drive stock prices higher, and investor fear can make the price fall quickly as well, until the trend takes hold in the mainstream and the stocks take off. But news that confirms your research and understanding can help steel your resolve. When the more mainstream outlets confirm what you already knew, and confirm the direction a massive trend is going, it’s easier to endure the ups and downs. 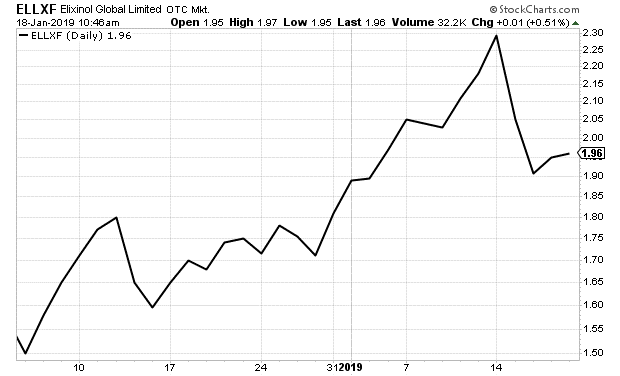 The broader market has been extremely volatile lately, and marijuana stocks have been no exception, but the news confirming this massive investment trend just keeps coming. It’s unstoppable, and the evidence continues to pile up. In Wednesday’s Digest, Jeff told you about Canopy Growth Corp. receiving a license from New York State to process and produce hemp. The move was hailed by Sen. Chuck Schumer as a potential windfall for the state. “This investment could create hundreds of good paying jobs in the region, help a new industry take root, and serve as a magnet for more companies and industry-related enterprise to locate to the region,” said Schumer. The news only accelerated as the week went on. The mid-term elections saw several states approve marijuana legalization, and the election of several officials who support legalization. Now that they have all taken office, their efforts have kicked into gear. Wisconsin Governor Tony Evers announced this week that he is ready to take the first steps toward legalization in his first state budget proposal. California’s Bureau of Cannabis Control endorsed a new rule to allow home marijuana deliveries statewide, even to communities that have banned commercial marijuana sales. Oregon’s two US Senators sent a letter to the FDA asking them to update their rules on CBD to permit interstate sales of food products. Hemp farmers in their state have pushed for the changes now that the Farm Bill has been signed and hemp production is legal in the US. Florida appears ready to approve legalization of the medical marijuana flower that would allow licensed dispensaries to start to selling the product. 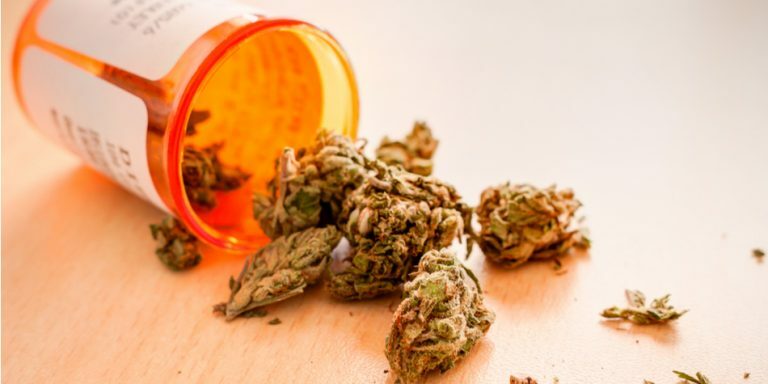 Arizona’s Department of Health services reported that Arizonans smoke, ate or consumed nearly 60 tons of medical marijuana in 2018 – a 41% increase over 2017. It’s tough to believe that there are still skeptics about this trend. At this point, the only question is how do you want to take advantage? Matt McCall, editor of Investment Opportunities, follows huge, business-shifting trends like no one else. He’s often called the original marijuana bull because he has been so committed to and excited about this investment opportunity for so long. You’ve probably already heard of a lot of big marijuana players, such as Canopy Growth Corp, or Aurora. But many of the future billion-dollar leaders in marijuana — the massively successful private companies that are fueling this surging market — are now taking their companies public on the stock market. Oftentimes, it’s just pennies a share, or maybe a few dollars. Matt identifies these companies as part of his Investment Opportunities service. On Dec. 4, Matt made a specific call for one of these companies – Elixinol Global Limited (ELLXF). I’ll let him explain why sees so much potential here…. It is based in Australia, but most of its sales come in through its Elixinol USA division, which is in Colorado. The U.S. division makes and distributes supplements and skincare products around the world, from capsules to topical balms to dog treats. Most cannabis-related stocks have above-average sales growth. Only a few are also value investments when compared to other growth sectors. Elixinol is unique in that it is attractive based on both growth and value. Revenue is expected to jump 125% this year to $27.7 million. Last quarter’s sales surged 160% over the prior year and an impressive 27% from the prior quarter. Estimates for next year include 38% sales growth to $38.3 million, and revenue should continue growing to $53.3 million in 2020, another strong 39.2% increase. Also important, the company remains profitable along the way. The day after Matt made the call, the stock surged 5%. Since Matt’s buy call on Dec. 4, the stock is up 30%. This coming Wednesday, Matt is going to release his next pick for what may be the next 1,000-bagger. A stock that could become the next Canopy Growth Corp, or Tilray stock. To find out how you can hear all about Matt’s pick, and future picks in this exploding industry, click here. Yesterday, at the Detroit Auto Show, Ford announced that it is planning an electric version of the Ford F-150. I am originally from Texas and when I was growing up if you didn’t own a Ford F-150, you sure did want one. And it looks like not a lot has changed. In case you didn’t know, the F-150 is the best-selling vehicle in America, and has been for the last four years. As I wrote above, news that confirms the viability of an important investing trends can cheer any growth investor. Ford committing to an electric version of its most popular vehicle, one that makes up a third of its sales, is just that kind of news. Our friend Matt has been following this trend as well. As electric vehicles become more mainstream, the need for longer and stronger battery life becomes critically important. Here is what Matt wrote from the Consumer Electronic Show last week about the importance of this trend. If there’s one thing I have learned from this year’s show, it’s that the gadgets of the future will require longer battery life. Not only will the next generation of batteries need to go further on a single charge, their overall lifespan will need to increase dramatically as well. Good thing solid state batteries are slated to be the next big battery breakthrough. The greatest development with these new batteries is that they use solid electrolytes instead of liquid ones. This alone will improve nearly every aspect of today’s battery technology. Because of their composition, solid state batteries are smaller, lighter, and can store a lot more energy than what is currently available. They have less impact on the environment. And the icing on the cake? They are much less likely to catch fire or explode. The big names in the electronics and auto industries have invested in solid state battery technology for years. Everyone from Toyota Motor (TM) to Volkswagen (VWAGY) to Hitachi (HTHIY) and even Dyson – yes, the company known for its vacuum cleaners. According to MarketsandMarkets, the solid state battery industry is expected to reach $1.1 billion by 2020. That would result in a compound annual growth rate (CAGR) of 72% between 2015 and 2020. Inkwood Research expects the global solid state battery market to grow with a CAGR of 67% between 2018 and 2026. And research firm Arthur D. Little sees the entire battery market growing to be worth $90 billion by 2025, up from $60 billion in 2015. Don’t expect this technology to be in the headlines for a few years still. But there is no question that now is the time to position your portfolio for what could be the biggest energy breakthrough in decades. Investors don’t get these massive growth opportunities too often. If you missed the Internet investments in the 1990s, or the bitcoin explosion earlier this decade, you have another chance to score once-in-a-lifetime profits. Matt is following one stock with innovative battery technology that the International Business Times calls a “Tesla Killer.” Click here to watch Matt’s informative presentation about the technology behind that stock. Article printed from InvestorPlace Media, https://investorplace.com/2019/01/marijuana-and-electric-car-trends-build-momentum/.